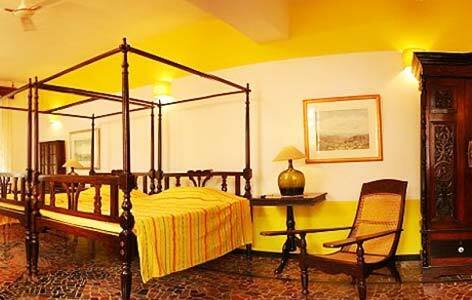 "The Hotel Panjim Inn is one of the original heritage hotels in Goa. Nestled in the heart of Asia's only Latin Quarter of Fontainhas, WelcomHeritage Panjim Inn offers a memorable experience. The property dates back to the 19th century. The hotel takes its guests on a trip down the memory lane, to the time of the colonial era. The erstwhile big home of Fontainhas is equipped with all comforts of modern luxuries. 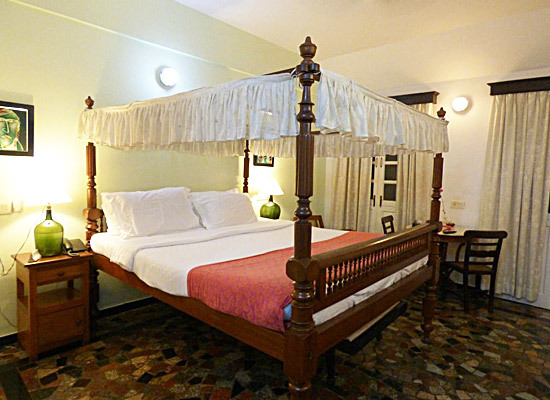 The hotel enjoys a central location, so that no tourist attraction of Goa is missed. 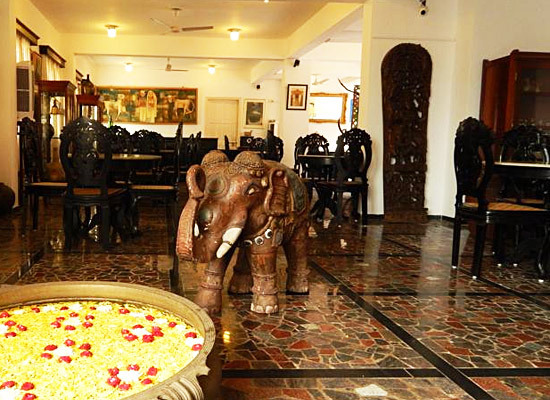 The Verandah Restaurant offers fine local cuisines of the region with farm Feni. Guests are treated to a comfortable stay. The former mansion in Fontainhas, the solo Latin Quarter in Asia was built in the late 1800’s by Francis Assis D’Silveira. The family Brazao owned the property and their Goan insignia adorns the wrought iron railings and gilded pelmets of the quaint Panjim Inn. 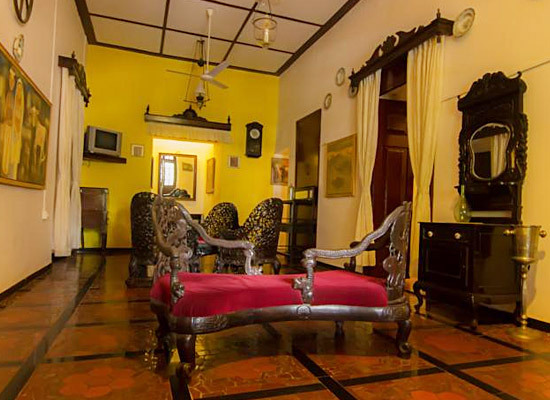 The property is now a part of WelcomHeritage Panjim Inn Group. The mansion has been restored and transformed into a heritage hotel with character and charm. Guests during their stay can recapture the nostalgia of the romantic Past. Hotel Panjim Inn has accommodation divided into three type of rooms, standard, deluxe and superior. There are 37 rooms, each unique and distinct in character and style. The heritage hotel retains its character. Antique four poster beds, carved rosewood almirahs and period furniture are an integral part of the décor. En-suite bathroom with modern comforts are added. Fine lace curtains cover the huge windows. Vibrant paintings from the in-house gallery, collectibles, old chinaware create nostalgia for the colonial era. The Hotel Panjim Inn restaurant is set on the veranda. While you have a memorable gastronomical experience, watch the only Latin street in Goa. The kitchen serves Indian, Continental and Goan dishes. The restaurant also serve cocktails or local favorites like feni. The Verandah Restaurant offers a memorable dining experience. Guests can suggest change in the menu or request for other dishes. The chefs are happy to help. Goa is an absolute paradise for nature lovers. For the Christians too, it is a place worth visiting. It is replete with numerous sightseeing spots and places of worship. Therefore Goa, being located beside the mighty Arabian Sea, is visited by tourists all round the year. Goa is such a place which attracts old and young alike.